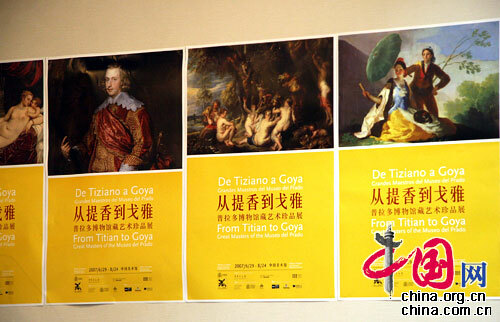 An exhibition, "From Titian to Goya -- Great Masters of the Prado Museum" will open on June 28th at the National Art Museum of China (NAMOC) in Beijing. 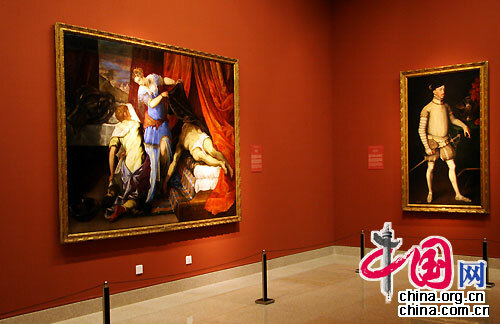 The exhibition, which is part of an extensive programme to celebrate the Year of Spain in China, offers an extraordinary representation of the great masters from the 16th to the 19th century, and showcases the treasures of the Prado National Museum. Fifty-two extraordinary examples of the most distinguished tradition in Western art, including the most famouse works Venus with Cupid and an Organ Player and Portrait of Philip II by Titian, and five paintings by Goya, were brought together for the first official presentation by a Spanish national museum in China. The exhibition includes portraits of famous people, religious topics, historical subjects, mythological anecdotes, secular allegories, popular scenes, still lifes, and luminous landscapes painted by some of Europe's most important artists. They show the progression from the solid, triumphant Renaissance conception of Titian, the leader of the16th-century Venetian school of the Italian Renaissance to the universally-expressive magnitude of Goya, apogee of Spanish painting tradition in the transition from the 18th to the 19th century. The exhibit will run until August 24th, when it will then be transferred to its second venue at the Shanghai Museum.